What marijuana goes best with your music? Fri., March 30, 2018, 2:37 a.m.
One of the great things about the Spokane area is that, along with a wide variety of marijuana strains, we have a large selection of choices for live music. From local entertainers to national and international headliners that pass through the Inland Northwest, we are fortunate to have all kinds of musical genres to choose from. At the same time, there’s also access to hundreds of cannabis products which can often enhance the experience of listening to music. In the past, when supplies and types of cannabis were limited and illegal, it wasn’t easy to find a strain to match whatever concert you were attending or album you were listening to. But today, it’s possible to customize your musical experience. 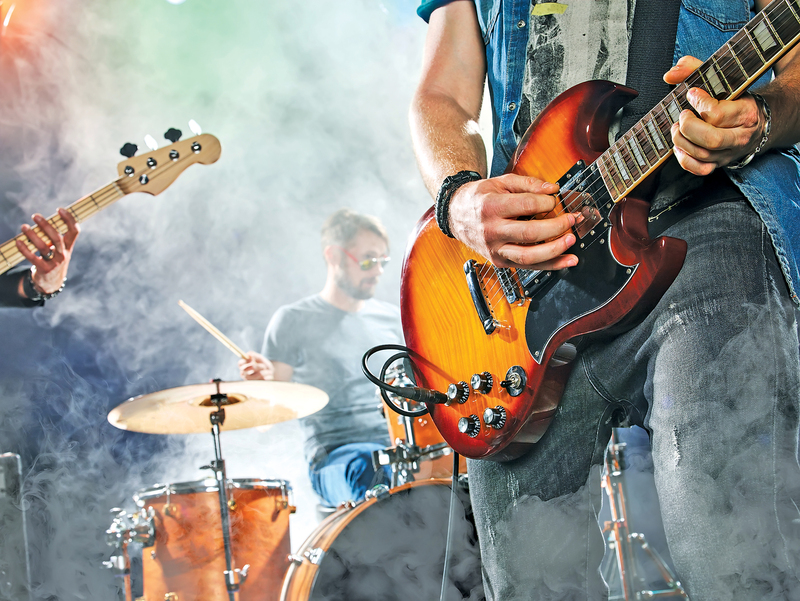 Rather than “name that tune,” some local pot shop employees recently played “name that strain” and made recommendations on what strains can help enhance a favorite musical genre or some of the acts that are coming to our area in the next few months. This starts with Irish tunes. Though St. Patrick’s Day has already come and gone, O’Doherty’s Irish Grille hosts a weekly Sunday night jam of Irish musicians and instruments. Budtender Luke Nick of Smokane suggests a strain called Super Lemon Haze if you plan to groove to this style of fast-paced music. “It’s just really energetic, really an upper, it’s a really heady high; not going to put you on the couch and it definitely goes good with drinking,” he said. He also offers a recommendation for ‘90s-style grunge bands. Nick wasn’t around for the hair bands of the 1980s but has suggestions for those who enjoy old-school metal, especially those planning on attending the Dr. Crue Rocks show (a Motley Crue tribute band) April 20 at The Roadhouse, or the Dee Snider/Quiet Riot concert April 21 at Northern Quest Resort and Casino. Stephanie Johnson, floor supervisor at Royals Cannabis, suggested Super Silver Haze or Super Lemon Haze for optimal ‘80s hair band enjoyment. “For something more heady,” she said of the high those strains provide. Going back to the 1970s, Johnson suggests something that won’t hype you up too much but won’t put you to sleep for shows like The Eagles, who are visiting the Spokane Arena May 8. For bands like The Commodores, who just played at Northern Quest, Nick said there’s no strain called “Brick House,” but there may be some other options for similar music styles. If classic country is more your thing, The Charlie Daniels Band plays the Northern Quest Casino April 29. For that, Johnson recommends something with more of a body high like Royal Kush or Afghan Kush. And for those who like variety in music, and maybe to show off their own musical chops, the karaoke experience can often be improved with marijuana. Way improved. Before belting out your signature ballads, Johnson recommends sampling a hybrid called Montana Silver Tip. “It’s a really good body and head high and lasts a long time,” she said. If you do plan to attend any of the shows mentioned or other artists, please practice smart marijuana etiquette. It is still not legal to smoke or use in public, only in private places like your home, so please respect others and refrain from public use. Mixing alcohol and cannabis, whether a new or a veteran user of either substance, is known to create unpredictable effects. It is also illegal to drive under the influence so don’t smoke or ingest marijuana and then drive to a concert. As with alcohol, use a designated driver, take a cab or ride-hailing service, or just chill out to tunes in your own home. Published: March 30, 2018, 2:37 a.m.